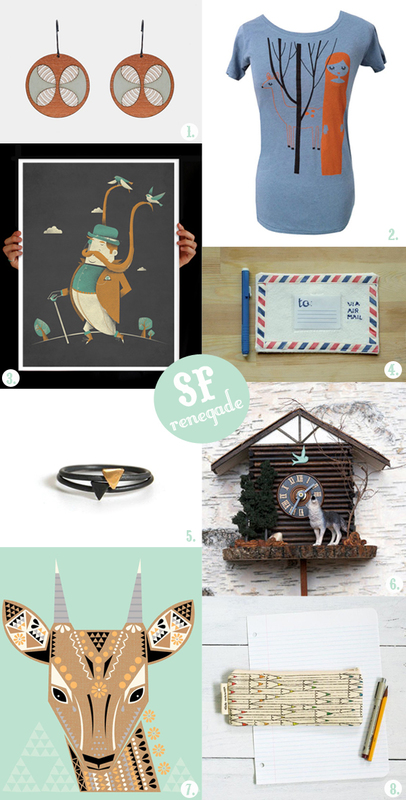 July 2011 Gift Guide: Renegade Special! 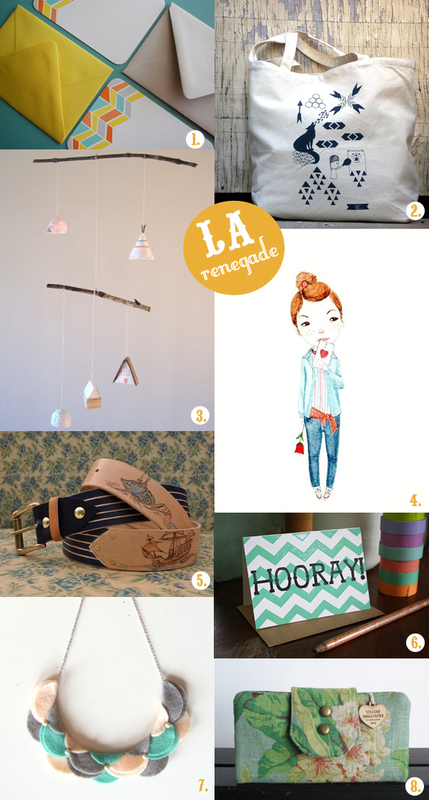 This month we are bringing you a special gift guide, a Renegade Craft Fair special! Recently we just attended the San Francisco & Los Angeles Craft Fairs and thought it would be a fun idea to share our top 8 picks from each fair. And just like all of our other gift guides, all of these items are available for purchase! We had a great time at each fair and got to meet some amazing creative people based in the USA, as well as the amazing Renegade Craft Fair organsiers themselves! It was a great experience to be immersed in a different (but very similar) community of designers & artists. Stay tuned for our SF & LA Fair wrap up blog posts coming next week! Those jkits mobile homes are amazing, I have given them as gifts and they are sooo beautiful in real life! Thanks for including my felt air mail envelope in your SF Gift Guide! You have a lovely blog. 🙂 Also I agree about the jikits mobile homes. Such a great idea! thanks soooo much for picking mobile homes as one of your la renegade faves and thanks for the super nice comments too. i’m working on a few new mobiles for the fall/winter season so please stay tuned! !